A student prepares for the end of year show. 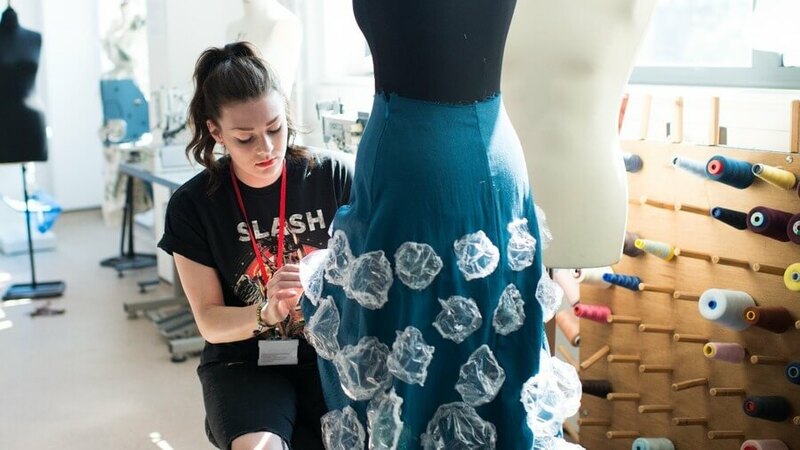 Art, Design and Fashion students will be showcasing their talents at an end of year show at the Electric Theatre on Falcon Street, Barnsley. Open to the public, the show includes an array of paintings, photography, fashion garments, graphics and printmaking which celebrates the students’ work throughout the year. The exhibition is open on 16, 19, 22 and 23 June from 10.00am to 5.00pm with free entry.